As a godparent, you would always want your godchild to grow up in the right way. And having God as a guiding light is a sure way to keep them in the right path. 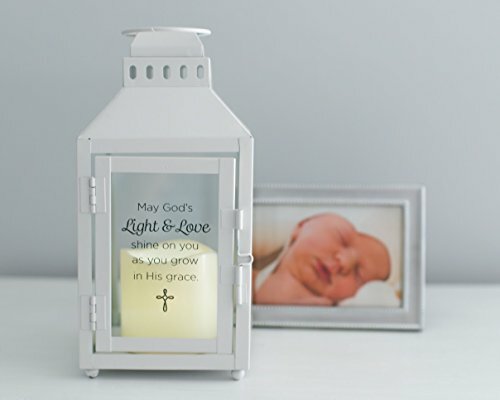 This Light and Love Lantern is a beautiful reminder of keeping the little light shine through their lives as they grow older and wiser in the years to come. There is this old children’s song that goes, “This little light of mine, I’m going to let it shine, let is shine, let it shine, let it shine”. Somehow, its lyrics are a fit description of how valuable a child’s life is. 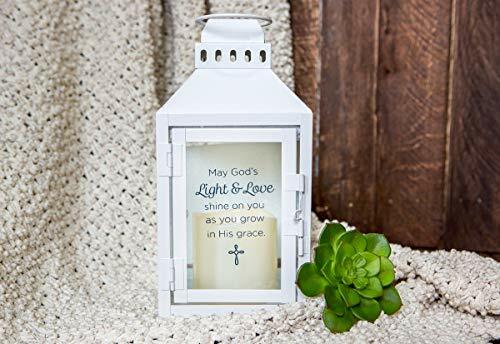 And keeping that light shining as they grow in life is a task that parents and other adults around them should take on. This is basically the meaning of symbolically lighting up candles during Christenings and Baby Dedications. It signifies how important it is to lead them in the right path as they mature in their ways. You can commemorate this event by gifting out this Light and Love Lantern as a beautiful keepsake. 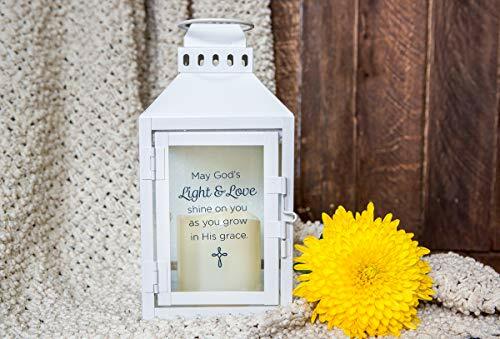 This beautiful white metal lantern has four glass inserts, with a print on one panel that reads, “May God’s light and love shine on you, as you grow in His grace”. 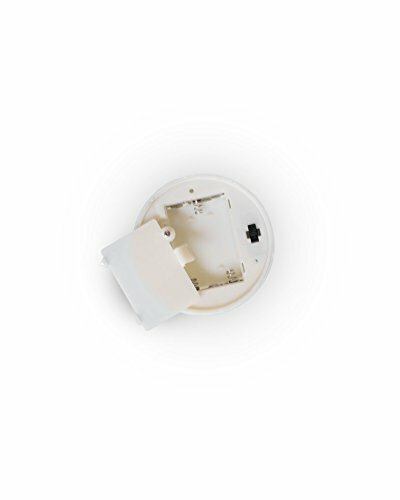 Each package comes with a gift tag and ribbon, and a 3 inch LED flickering candle. Not only is it a great memento of a solemn event of the baby’s life, it is also a perfect home decor. 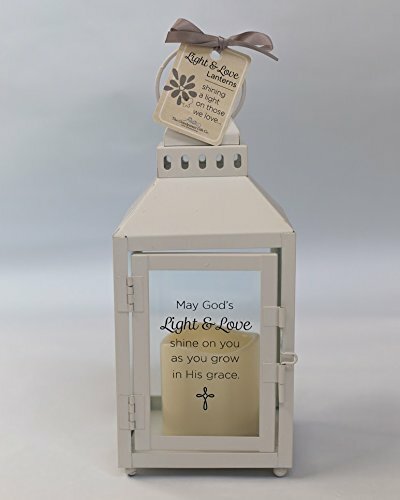 The lantern can be used as a table or shelf decor, or it can be hung up by the metal top loop. 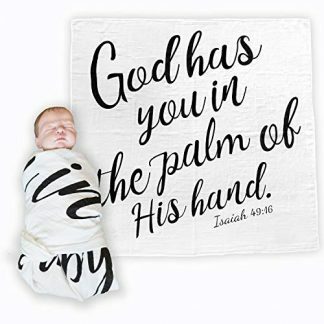 Its classic design can grace any room in your home, most especially in the precious one’s nursery. 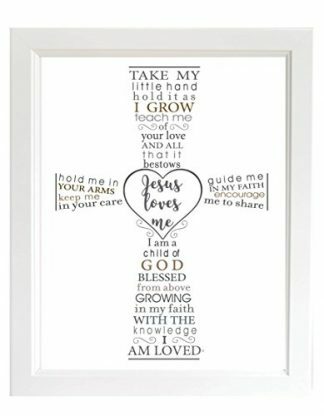 This is a unique gift not only for Baby Dedications and Christening, but also as a beautiful gift for Christian faith ceremonies like First Communions and Confirmations. 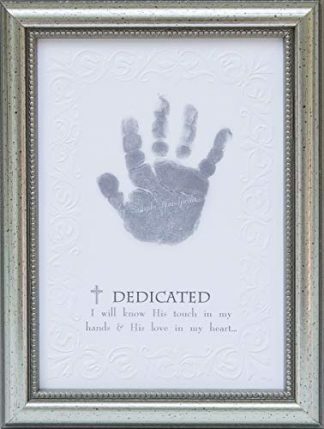 This is truly a sentimental gift to give a godchild, or a beloved young child during such a momentous religious celebration of their life.